What happened to the music industry a few years ago is now happening to publishing. Have you noticed that there are a lot more people selling e-books these days? As readers get better (like the lightweight Kindle from Amazon), and book prices continue to climb, many folks have taken the plunge into digital books. The flip side of the coin is that many writers are also by-passing the traditional path of publishing. 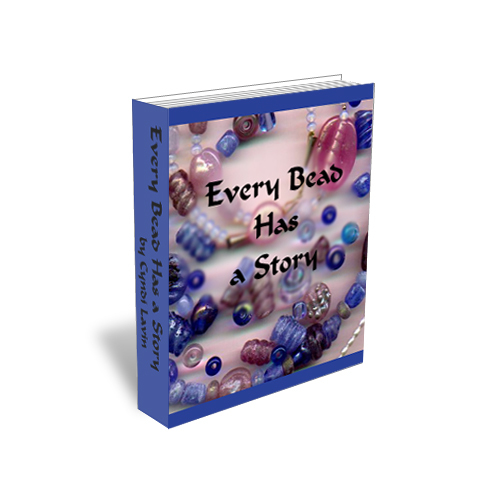 Just recently, I released the first two chapters of my new e-book, Every Bead Has a Story, on mixed media bead embroidery. After mucking about and trying to figure out how to print such a photo-intensive book at a reasonable price, I decided that the best way to do it was to not print it at all! As a test, I have made my first chapter available for free. It covers the basic stitches, materials and tools, and a beginner project to get someone going. After 2000 downloads (and counting), I decided to go forward. The second chapter (72 pages long and full of step-by-step photos), I released for just $3. My plan is for each additional chapter, each one nearly book-length itself, to be only a few dollars. That way anyone can afford it, and I can pack it full of as many pictures and detail as I want. Funny enough, after I decided to do this and started down the path, I came across these two articles on the current state of publishing and digital media. If you've ever thought you might want to write a book, I urge you to look at these and think through all the possibilities seriously. Oh, and help yourself to a free copy of my first chapter! Thank so much for the links, Cyndi. I've been wondering about your rationale ... because I have an e-book in the works too. Best of luck with the remaining chapters of Every Bead Has a Story! I've self published about five or six books now and also a couple ebooks. For specific niche (like what you are doing) I think self publishing can be beneficial. It isn't for every writer, but if you are marketing savvy it can make you nice tidy sum plus get your name out there as an expert. I'm still on the fence about whether self-publishing is better for fiction. If an author has established fan base it might be, but for my fiction book(s) I'm still looking to go the traditional route for now. However, I also have another dating-related book in the works and think that I will self-publish it through my own company. One advantage to doing that is I can keep the book on the market longer and really find an audience for it. I'm so glad you're doing this, Cyndi! 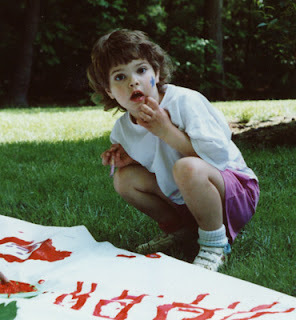 For the longest time, I was totally against self-publishing. I'm still not in love with it, mainly because not all people can write, yet many think they can. Just reading around on all the blogs I come across on-line validates that many, many writers - with good intentions of course - can't write a complete/correct sentence to save their lives! However, the reality of hardcopy publishing is that it is on the ropes in a big way now, and that means that just because you may write very well and/or have a great idea, doesn't necessarily mean you will get published. There are just not as many opportunities out there. For those people, especially when it comes to talented people like yourself who write about arts/crafts, digital publishing seems the way to go. Please, keep us posted on your progress. Tammy, with your name recognition in the publishing world, I'm going to bet you could get just about anything published :-) I'll be the first to admit that I haven't exactly turned over every single rock in my quest to find a publisher, but I'm happy (for now) with how it's going doing the self-pub thing! My oldest graduated college with a degree in English after switching from art. He had ALWAYS wanted to publish a graphic novel and chose to self publish. He was very lucky, because he had such ties to our art community, it was done with quite a great deal of flourish...it may never become the best seller, but it most definitely was a dream come true for him. I think it is a great option for someone who does want to write...whether paper or e publish. Congrats on so many copies of the first chapter Cyndi, I hope all the others are every bit as successful!